Fortune Court is an up-market residential project conveniently situated on the outskirts of Paphos and next to the town of Geroskipou. The residences are of exceptional aesthetic design and consist of spacious apartments and penthouses with large balconies, terraces and covered parking. 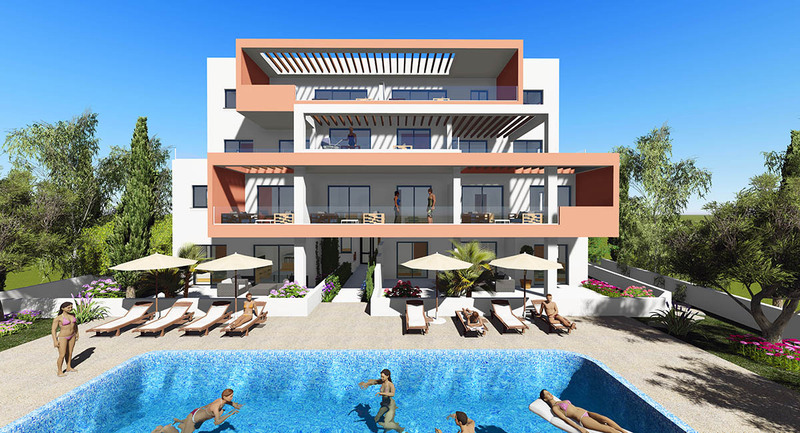 The Cyprus properties are set in a quiet convenient location facing a green area only few minutes' drive from Paphos Town Center and the shops, the Iasis hospital, the Neapolis University of Paphos and just ten minutes' drive to Paphos International Airport. Leptos Fortune Court is ideal as a permanent residence offering 1, 2 and 3 bedroom luxury apartments and spectacular penthouses and integrated features such as, a large communal pool, private and public gardens, covered parking and a lift. 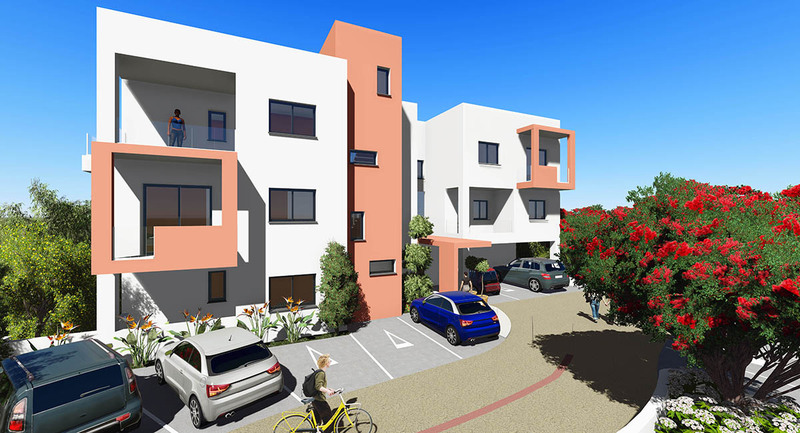 Fortune Court is an up-market residential project conveniently situated on the outskirts of Paphos and next to the town of Yeroskipou. The residences are of exceptional aesthetic design and consist of spacious apartments and penthouses with large balconies, terraces and covered parking.